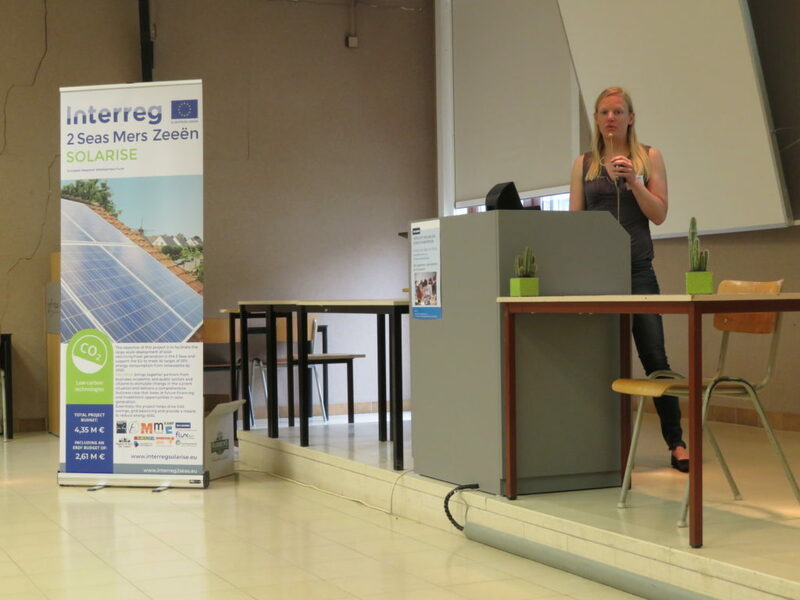 Opening of the SOLARISE kick-off KU Leuven – Technology Campus GHENT on 18 June 2018. After the opening session held by Prof.ir.dr. 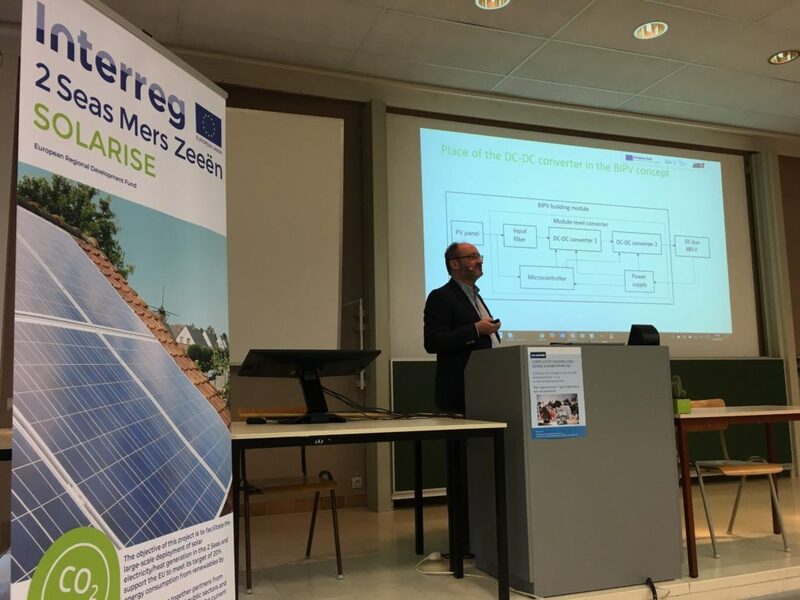 Emilia Motoasca (KU Leuven – BE) and Prof. Ahmed Rachid (UPJV – FR), the participants had the chance to meet all partners of the 2 Seas Region related to the Solarise project. 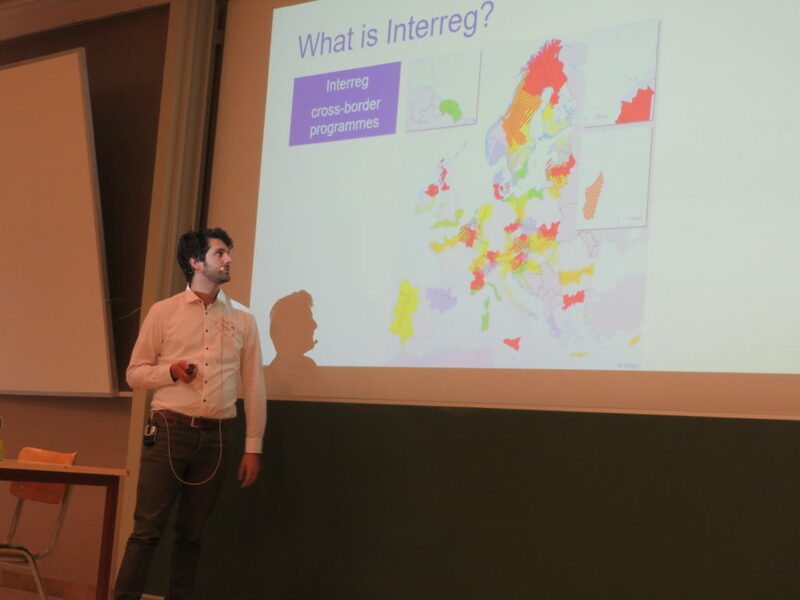 Mr. Johan Driessen exposed the SolSThore project followed by Mr. Matthias Verhegge who explained the priorities in the 2 seas region. 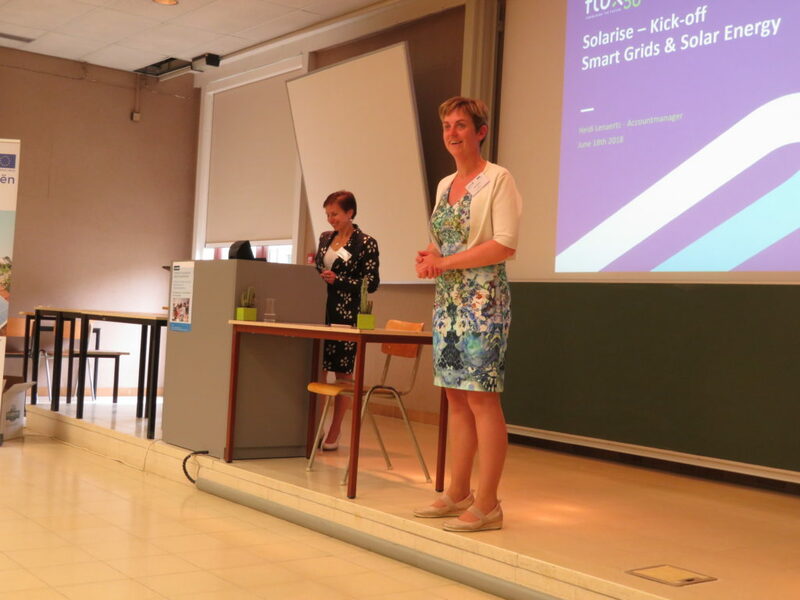 Smart grids and solar energy have no secrets to Mrs. Heidi Lenaerts whose presentation you can find here under as all others. 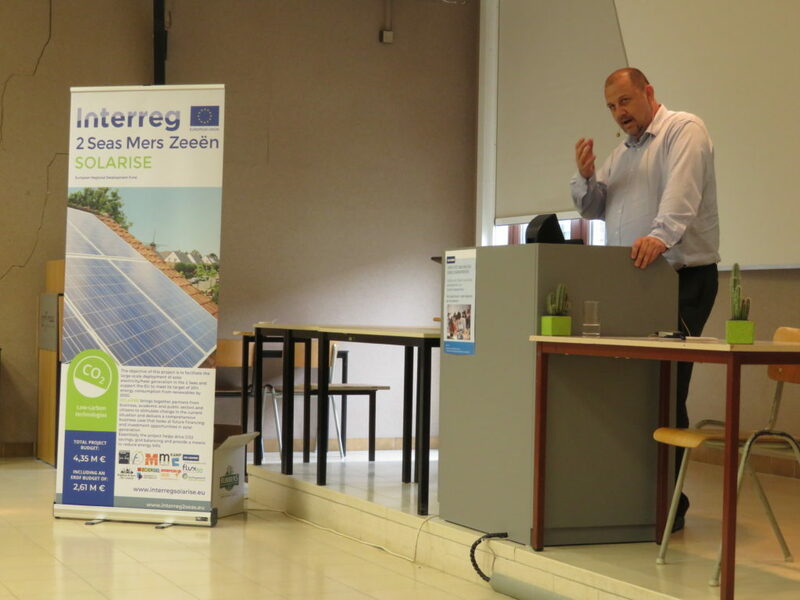 Mr. Patrick Allcorn talked about the local energy and the role of solar. 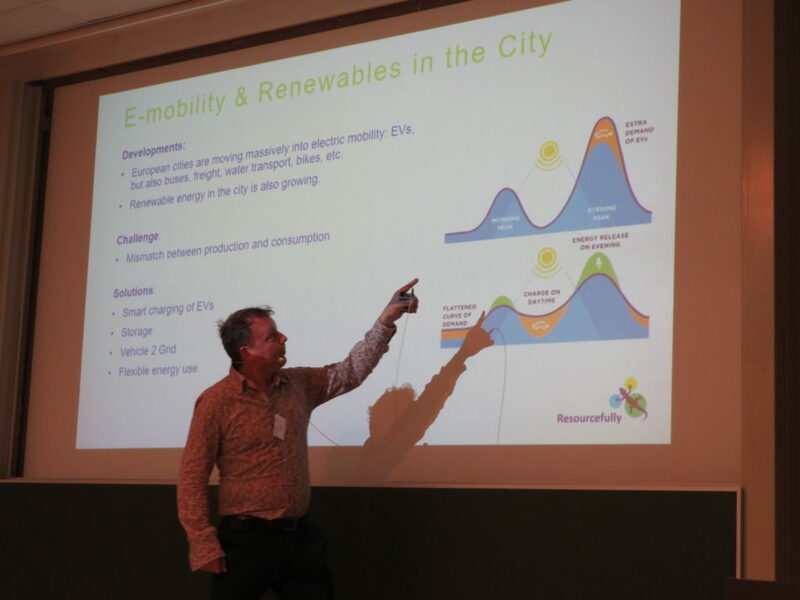 Scenario’s regarding renewable energy and e-mobility growth was presented by Hugo Niesing just before lunchtime. Have a look at the photo gallery under the presentations. The afternoon session brought a closer look to the solar energy academic and industrial research and development issues. 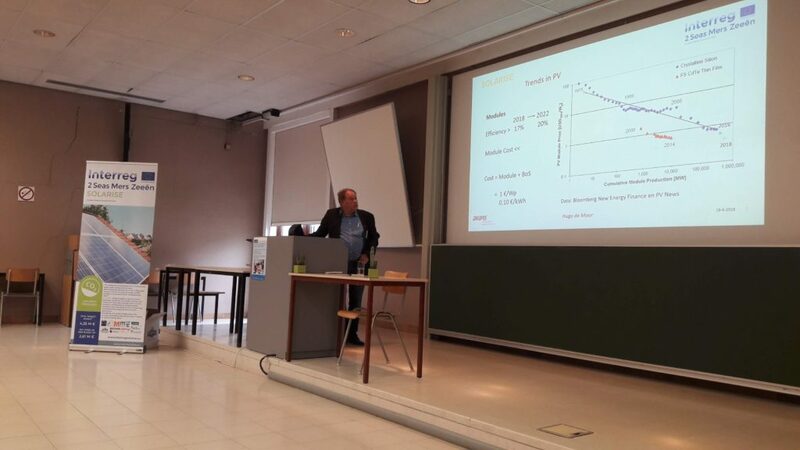 Hugo de Moor held a presentation about the trends in research on Solar, while Prof.ir.dr. 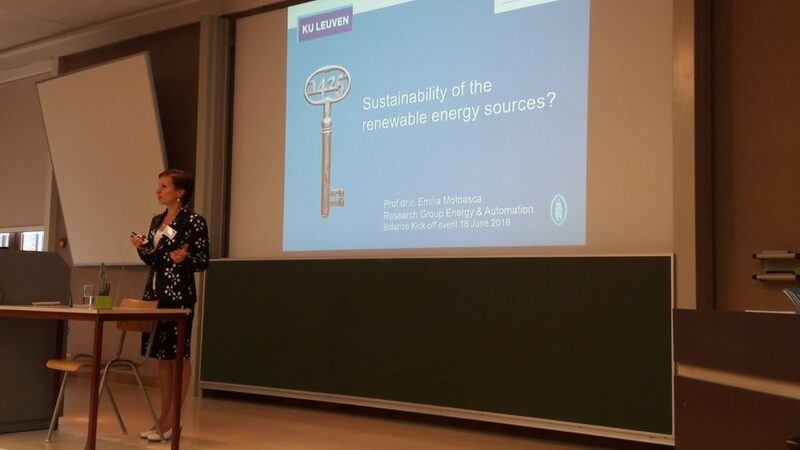 Emilia Motoasca talked about the sustainability of renewable energy sources. 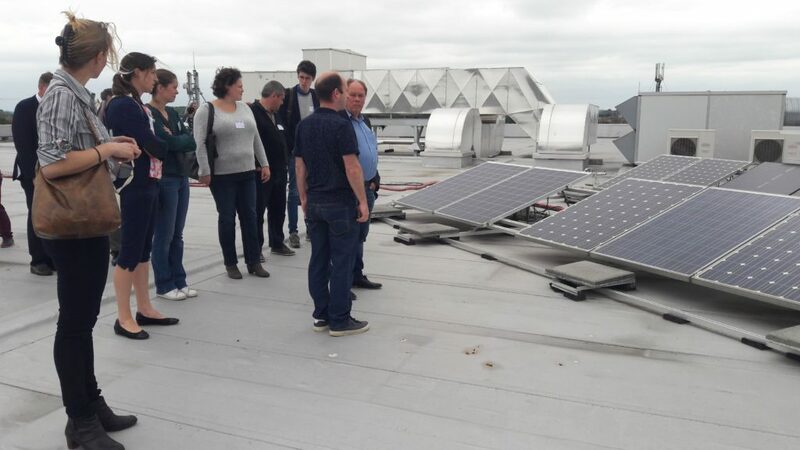 Before the visit of the PV-installations on the roof of the campus, Prof.ir. Victor Beccera, shared his knowledge about the Smart Grids: key concepts and challenges with the integration of solar energy. An interesting day that ended with a networking reception and deserved a Belgian local beer.